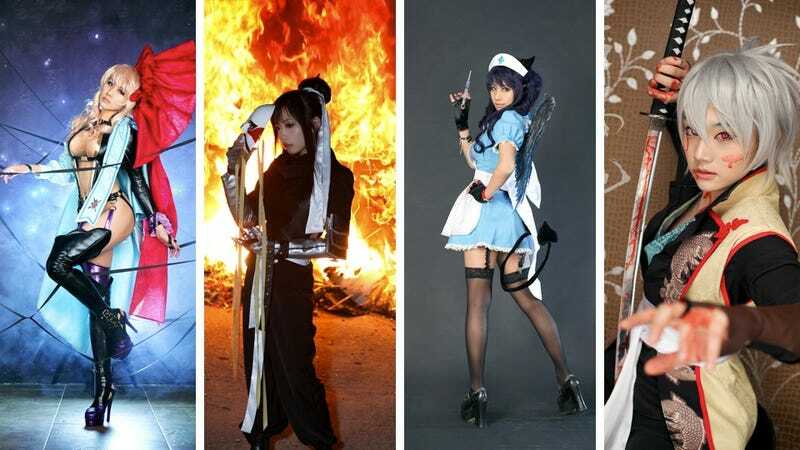 If you are talking Korean cosplay (and that's exactly what we are doing), you can't finish a sentence without mentioning cosplay collective Spiral Cats. The team dazzles with its outfits, its photos, and its live cosplay performances. Spearheaded by cosplayer Tasha, who Kotaku previously featured, and featuring the likes of Tomia, Ren and Miyuko, the team cosplays anime, manga, and game characters. Earlier this year, Miyuko from Spiral Cats caused a stir online with a League of Legends cosplay. Her Ahri the Nine-Tailed Fox photos spread online like wildfire. The group's webpage was pounded hard with traffic; it was even knocked off line. The above gallery is a best of, showcasing some of the team's standout work. Notice the attention to detail with the costumes as well as the polished photos. This isn't just some of the best cosplay Korea has to offer, it's some of the best cosplay period. If you want to see more Spiral Cats, check out the link below.